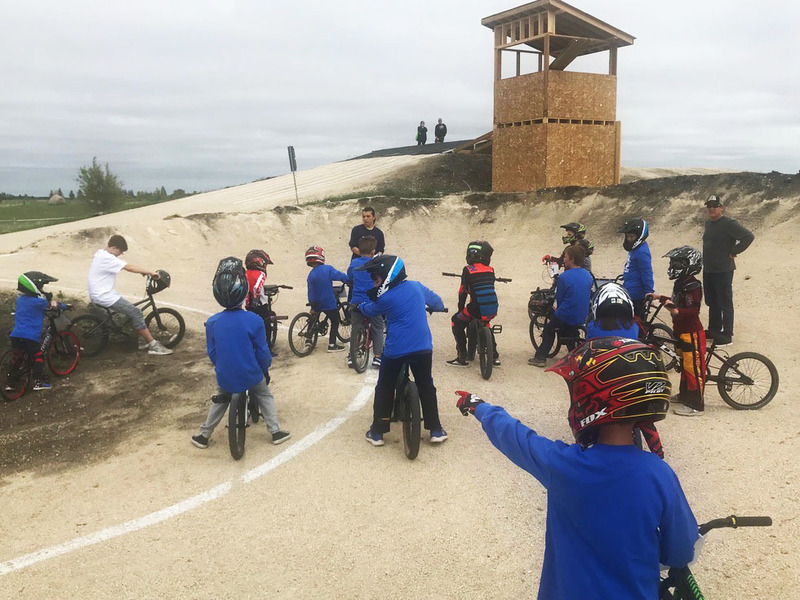 Manitoba’s First BMX (Bicycle) Race Track And Training Facility Has Been Introduced To Thousands Of Riders, Parents, Spectators And Volunteers Who Visit Our Facility During The Season. Destination X BMX Will Be A Fun "Sporting Home' To Riders And Families Aged 3 And Up, In Fact An Entire Family Can Compete And Participate In The Same Event. The Sport Of BMX Is Increasing In Popularity Since It Exploded Onto The World Sporting Scene At The 2008 Summer Olympics And Is One Of The Fastest Growing Family Sports In Canada. We Believe Advertising At Our Facility Can Generate Positive Attention For Local Companies And Help You Grow Your Business. Please Consider One Of Our Advertising Opportunities for 2018 And Beyond. Exclusive Advertising Opportunity On Our 24 Foot High x 24 Foot wide, Double Sided Billboard Sign Located On Busy Highway # 1 East – The Complete Sign Is Available. The Sponsor Can Have An Eye Catching Message On The Sign, Measuring 24 Feet Long x 24 Feet High (On Both Sides). $6000 year one, $2000 Each Year Thereafter - 5 Year Term. (Term Bonus – BMX Race Experience With Bike, Safety Gear And Training Session Included For Up To 12 People. Exclusive Opportunity To Market Your Products To Hundreds Of Eager BMX Riders And Their Families – We Have 3 Retail Spots Available Adjacent To The Track In The Highest Traffic Area. BMX Racing Is New To Manitoba, And The Participants Will Want And Need The Latest Gear And Apparel. Contact Us For Seasonal Leasing Information. RACE SPONSORSHIP – Weekly Races – $2500/Season For Up To 20 Races – Your Company Name Will Be Featured On Our Website, On Track Side Signage, And Will Be Mentioned Regularly By Our PA Announcer. You Company Will Also Be Afforded The Opportunity To Hand Out Promotional Information Throughout The Season.